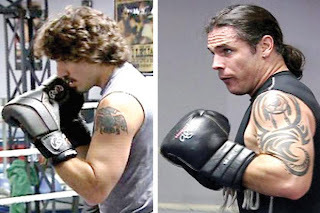 Token Aboriginal Progressive Conservative Senator Patrick Brazeau has been knocked-out of the Progressive Conservative caucus. 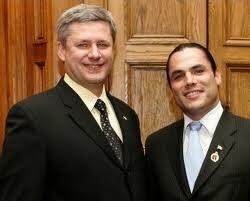 A former head of the Congress of Aboriginal Peoples, he was appointed to the Senate by Harper in 2009. His appointment,at 34, was a surprise. He has been the party’s designated attack dog against the Idle No More Movement and aboriginal leaders that have challenged the Harper Government. He is an Algonquin from northwestern Quebec and a citizen of the Indian reserve of Kitigan Zib. The knock-out punch was delivered by Senate Conservative Leader Marjory LeBreton. She informed Brazeau via letter. In November Brazeau was named in media reports as one a number of Senators that was claiming a Senate living allowance despite spending most of his time in Ottawa. The Senate board of internal economy has been investigating him and at least two other Senators. The trio has been asked for proof of residence, including health cards, drivers' licenses and tax forms. The final straw appears to be related to news from the CBC that he is in a police jail in Gatineau, Que., following an alleged domestic dispute. Brazeau has been plagued by controversy including a report that he refused to pay child support until his Senate salary was garnisheed. It would appear that Brazeau was a very questionable appointment to begin with. Today’s ejection says as much about the Prime Minister’s choices as it does about Brazeau! The bad boy senator will remain an independent senator. I wonder how Mike Duffy would be reporting this if he were still a journalist and not hiding in the kitchen.